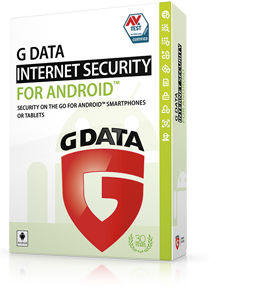 G DATA INTERNET SECURITY FOR ANDROID™ offers comprehensive protection against malware, intrusive apps and phishing attacks, also enabling you to locate lost devices or wipe their content remotely to prevent unauthorized access. The all-new phishing and web-protection tool uses latest cloud technology to detect and wipe out even the most current threats. All this combined in a modern and intuitive interface, so you can stay focused on your real tasks while on the go. 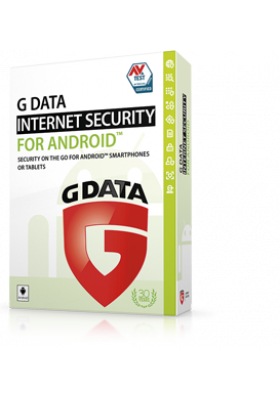 G DATA INTERNET SECURITY FOR ANDROID™ offers comprehensive protection against malware, intrusive apps and phishing attacks, also enabling you to locate lost devices or wipe their content remotely to prevent unauthorized access. The all-new phishing and web-protection tool uses latest cloud technology to detect and wipe out even the most current threats. All this combined in a modern and intuitive interface, so you can stay focused on your real tasks while on the go.